Introducing the all new ThinkPad® L430/530 laptop with valued features and reliability in a thinner, more modern ThinkPad® design. Designed for durability, the laptop passes ThinkPad torture tests and is MIL-SPEC certified. These tests keep you worry-free while working in high or low temperature, humidity, or dusty conditions. 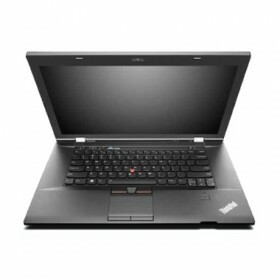 The dependable ThinkPad design is further supported by a wide variety of Lenovo warranty upgrades and damage protection. ThinkPad® L430/530 offers best value for performance with latest 3rd generation Intel® Core™ processors. Gain up to 60% graphics performance improvement from the integrated Intel® HD graphics. Experience ultimate visuals using NVIDIA® Optimus™ technology with NVS 5400M 1GB card. The uncompromised performance is enhanced by Lenovo RapidBoot − boots the system 40% fast; Quick Connect − connects WiFi or WWAN in less than five seconds from wake; Instant Resume. − resumes the laptop from hibernate 3.7 times faster. Perform tasks with minimal effort and work with seamless comfort all day on a 9-cell battery. The HD+ display for better viewing, face tracking camera, and Dolby® Sound deliver superior communications experience. The laptop is more manageable to use with the rear Ethernet and power ports and aligned ports. The new precision keyboard has improved ergonomic design for typing comfort and accuracy – known as the best in the industry. on November 2006 in Japan, United States, and in Canada.